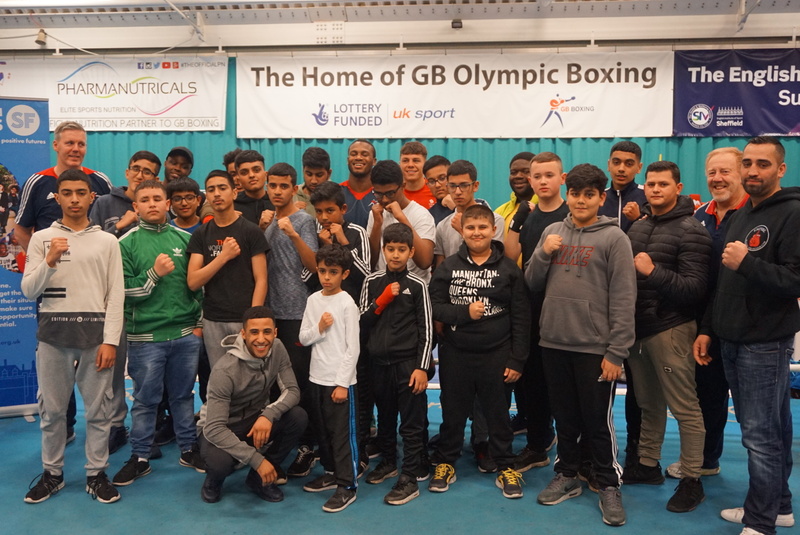 GB Boxing has agreed a partnership with local youth charity, Sheffield Futures, to support its work in the community which uses sport and boxing to engage with young people and aims to improve the life chances of those from socially disadvantaged backgrounds. 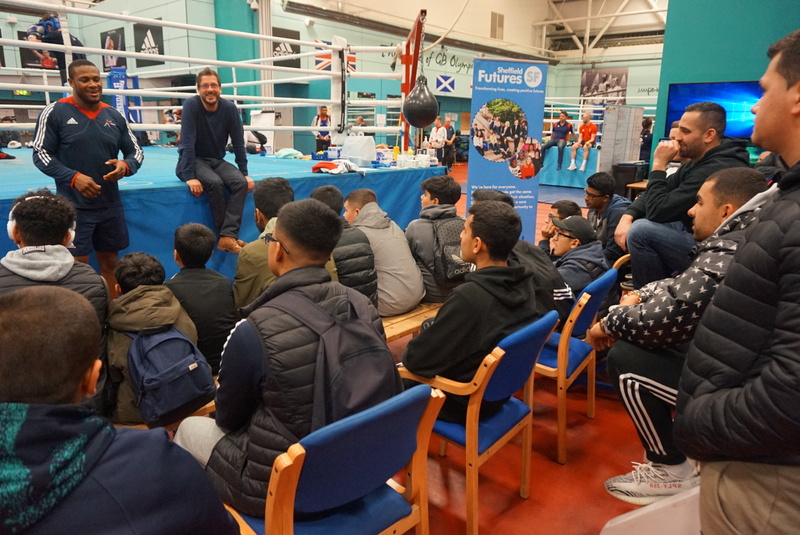 The three year partnership will focus on the use of boxing as a tool to bolster Sheffield Futures’ community involvement work and inspire young people in the city to achieve wider personal development through sport. The partnership will involve members of the GB Boxing squad supporting Sheffield Futures’ community initiatives and fundraising activities. As part of the launch, young people from Sheffield Futures and Empire Boxing Club visited the GB Boxing training centre at the English Institute of Sport Sheffield where they had a Q&A with European heavyweight silver medallist, Cheavon Clarke, and a training session with senior GB Boxing coaches, David Alloway, Paul Walmsley and Tony Davis. 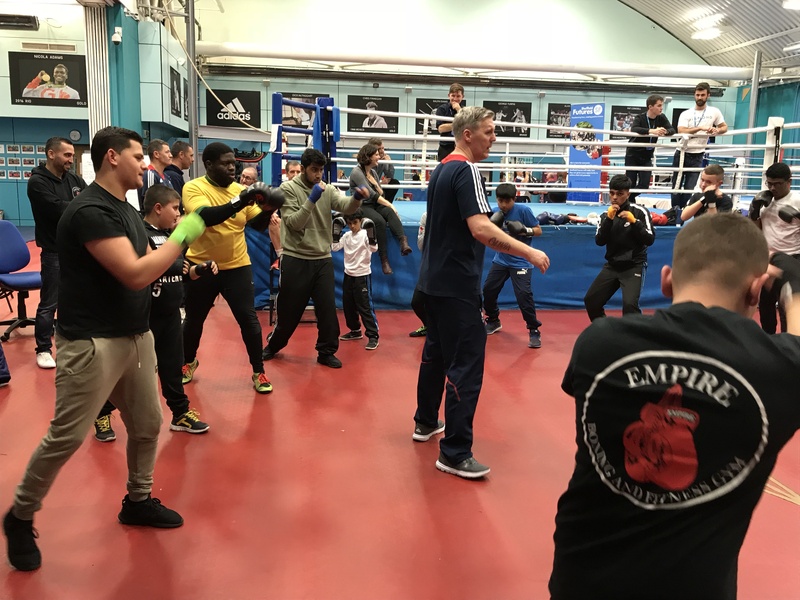 Matt Holt, Chief Executive, GB Boxing explained: “GB Boxing has been based in Sheffield for 10 years now and we felt it was important for us to do something to support the city in the same way that it has supported us, so decided to established a partnership with a local charity. Boxing is widely acknowledged to be a helpful tool in combatting a wide range of anti-social behaviours and providing solutions to help address problems covering health, education and crime. Sheffield Futures aims to harness and this in its community work and use boxing as a tool to engage with you people in socially deprived communities throughout the city. Gail Gibbons, Chief Executive of Sheffield Futures, added: “In our experience, boxing has been shown to be an instrumental sport for increasing confidence and self-esteem in young people as well as developing, health, social and communication skills, so this partnership is a natural fit for us.